Your Diesel Deserves The Best. Mountain High Performance (MtnHiPerf, MHP) is your "Go To" Diesel Performance Machine shop, able to help with any of your light duty performance or stock diesel engine needs. We offer our own MHP Performance Push Rods, Valve Springs, Oversize Stainless Steel valves, CNC and hand Custom Porting, Flow Bench testing, Pressure Testing, Resurfacing for heads and blocks, CNC Fire Ring Groove machining, "O" ring groove machining, Boring, Honing, Custom Sleeving, Connecting Rod resizing, Pin Bushing replacement and sizing, Crankshaft work, Balancing, and much more for your Cummins, Duramax, and Ford Powerstroke diesels. We are also very reasonable with any parts needs you may have, to allow us to be your one stop engine shop. With over 100 total years of experience, we can inspect, assess, advise & repair or upgrade your engine. 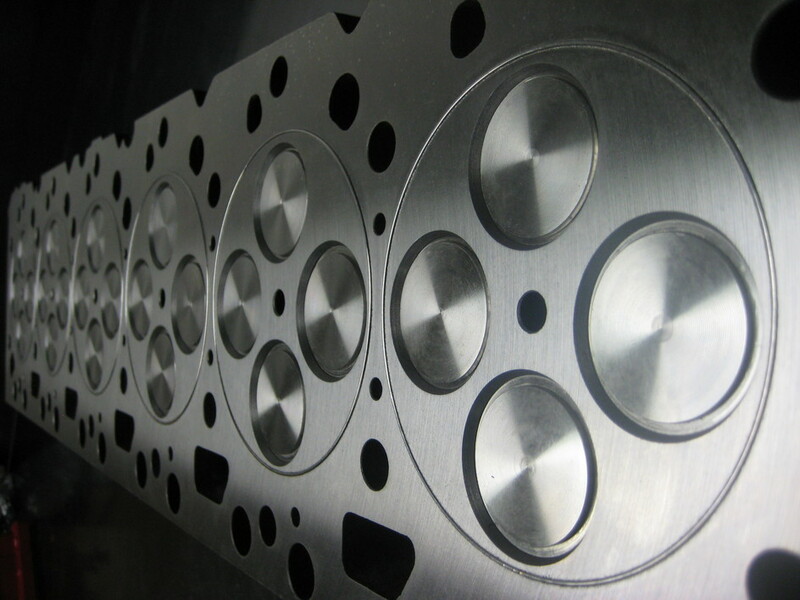 We also offer Cryogenic Processing to enhance the performance and durability of your diesel engine components. Call us at 303-420-6218 or 303-420-2796 anytime. We will speak to you directly Monday thru Friday, 8-5 Mountain Time Zone, or leave a message and we will call you back. E-Mail us at MtnHiPerf@att.net or ColoCryo@att.net and we will respond quickly. We are located in Arvada, Colorado, at 5293 Ward Road, Unit #3, 80002. Demand the best! Mountain High Performance (303)-420-6218. 2019 is our 40th year of continuous operation under the same ownership.